Following the successful introduction of AMD Ryzen™ 7 desktop processors including record pre-orders and award-winning1performance, AMD (NASDAQ: AMD) today announced Ryzen™ 5 desktop processors will launch worldwide on April 11, 2017, offering disruptive price-to-performance for gamers and creators. With end users at the heart of everything AMD does, the new Ryzen 5 processors feature the powerful and efficient "Zen" architecture in 6-core,12-thread as well as 4-core, 8-thread options, to deliver enhanced performance, immersive experiences and high performance innovation to gamers and consumers worldwide with a price range of $169 to $249 USD SEP.
"Ryzen will ultimately bring innovation and competition to virtually every segment of the PC market, and Ryzen 5 is the next big step on that journey, designed to achieve new levels of compute performance for millions of PC users," said Jim Anderson, senior vice president and general manager, Computing and Graphics Group, AMD. 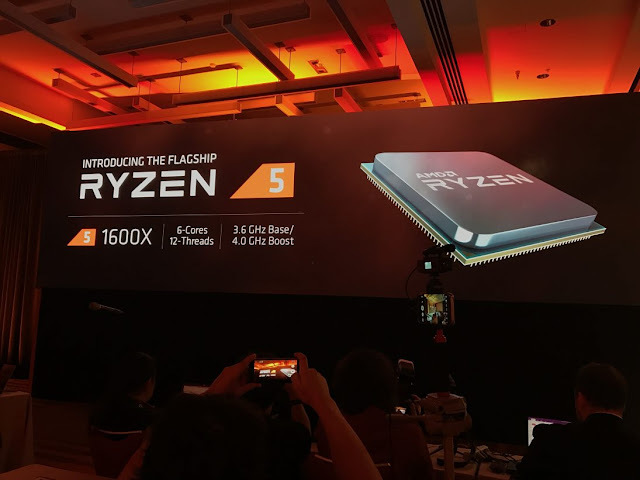 "AMD reinvigorated the high-performance desktop market with Ryzen 7 earlier this month, and AMD Ryzen 5 now brings the power and efficiency of the 'Zen' core to users in the highly popular sub-$300 segment of the market."